What it’s about: Once upon a time in a small town in upstate New York there lived two sisters, one the most beautiful girl in town and the other . . . well the other one was larger than average. Big-boned. All right, she was just a giant. Taller than most of the men in town and wider too, Truly Plaice has always seemed even bigger and more awkward next to her gorgeous, delicate older sister Serena Jane. After their parents’ deaths, the sisters are separated and while Serena Jane finds herself in the comfortable home of the town preacher, Truly is sent to the outskirts of town to live on a farm with the Dyersons, a poor family getting by on racing horses and thrift. Truly remains an outcast in the town, her only friends two other misfit children, but things aren’t all roses for her beautiful sister either. After one date with Dr. Robert Morgan, Serena Jane finds herself pregnant and their subsequent marriage is anything but happy. One day Serena Jane disappears, leaving her husband and son behind, and Truly finds herself stepping into her sister’s shoes as she cares for her young son and ungrateful husband. She only truly comes into her own as she experiments with wild plants, trying to change her size and helping other lost souls in the town along the way. 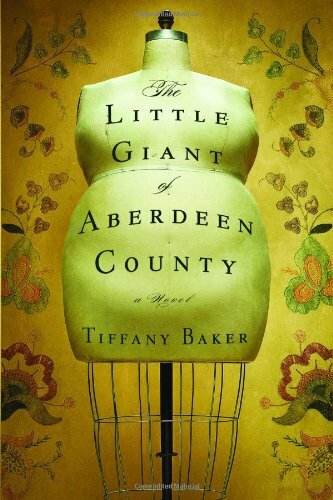 This story has all the elements of an American tall tale though it begins in the 1950s and moves into modern times. It feels like a fairy tale; there’s a beautiful princess, an ugly sister, a witch, a cripple, and a family curse. Even with all these fantastic elements in place, the story still feels familiar and comfortable. Aberdeen is any town in America and Truly’s story could be any woman’s who has ever felt alone. Barker has a wonderful flair for metaphor and her text is very lyrical. The book just feels very authentic in the characters, dialogue, and the emotions they inspire. My Personal Home Remedy: Bananas. Let me explain. Much like Truly, I’ve never been much for doctor visits. I’d only go if I was absolutely miserable and if all attempts to cure myself with blends of Tylonel, Pepto-Bismol, and Sudafed had failed. Truly used an ancestor’s knowledge of herbal healing to try to curb her appetite, bring down her swelling, and soothe her aching muscles. In our house, Mom always told us to eat a banana (and this has so far really worked). A little research on the banana shows that my mother is quite wise; bananas can help with stomach trouble of any kind, dysentery, tuberculosis, kidney and urinary disorders, and anemia. You can even make a paste of bananas to give immediate relief to burns. (I have never tried this, but will have to keep it in mind.) This is the second book I’ve read this year that has included wild plants for healing, but while The Year of the Flood focused on edible plants for survival, Truly’s story is more about the conflict between modern medicine and traditional holistic healing. Of which, I think, bananas should play an important role. Does anyone else have a family remedy that everyone swears by? Would I recommend? Yes. The writing is beautiful and the story is sweet and subtle. Truly is an inspiring heroine and her story is a rewarding balance of dark and light.